Feb 19 (Reuters) – Sina Corp posted better-than-expected fourth-quarter revenue and profit amid concerns about the slowing growth of Chinese online advertising.Shares in the company, which runs China’s largest online portal and the Twitter-like “Weibo” microblogging platform, climbed 6 per cent to $56.50 after-hours. They have fallen 13.4 per cent since the start of the fourth quarter, underperforming a 2 per cent rise in the Nasdaq. Net profit fell 74 per cent in the fourth quarter to $2.4 million, or 3 cents per share, from $9.3 million, or 14 cents per share, a year earlier. But excluding certain items, non-GAAP earnings were $9 million, or 13 cents a share, versus $14 million or 21 cents a share a year earlier. That surpassed an average forecast for 5 cents a share, according to Thomson Reuters I/B/E/S. China’s online advertising market grew 46.8 per cent in 2012, but that was down from 57.6 per cent in 2011, according to technology research firm iResearch. The softer advertising market, due to a weaker economic environment, has also hit Sina peers Baidu Inc and Sohu.com Inc.
Analysts say Sina’s new “Weibo” advertising products have drawn muted sales. Sina said it expects first-quarter adjusted net revenue to range between $115 million and $119 million, in line with average predictions on Wall Street for about $117 million. It forecast advertising revenue of $94 million to $96 million this quarter. Advertising revenue came in at $110.7 million in the fourth quarter, versus a previous company projection for between $110 million and $112 million. It posted overall fourth-quarter net revenue of $139.1 million, versus an average forecast for $133.9 million according to Thomson Reuters I/B/E/S. Non-advertising revenue decreased 4 per cent to $28.5 million. 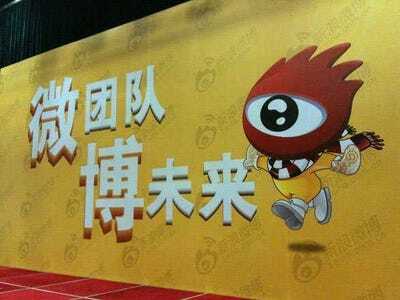 In the fourth quarter, Sina rolled out two Weibo monetization products aimed at increasing sales on its highly popular social media website. One of the products gives advertisers a chance at promoting their tweet among users who are not following them, while the other is a platform that links popular microbloggers with advertisers. Sina’s push to monetise Weibo comes as Tencent Holdings’ mobile social messaging product, WeChat, is beginning to cut into the popularity of Weibo, analysts said.